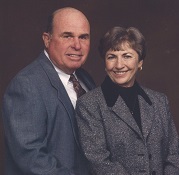 TUSCOLA: Robert Vance Elkins, 82, and his wife of fifty-four years, Von Dean (Rose) Elkins went to their heavenly home hand-in-hand on December 13, 2018. A funeral service will be held on Tuesday, December 18, 2018 at 1:30pm in the sanctuary of Lawn Baptist Church, following interment in Mcbee Cemetery at 11:00am, officiated by Burtis Williams, directed by Fry~Smith Funeral Home, Tuscola. A visitation will be held on Monday December 17, from 5 to 7pm at the funeral home in Tuscola. Robert Vance Elkins was born to Robert Jackson and Roxie Anna (Bowles) Elkins on September 3, 1936 in Brownwood. Robert graduated from Brownwood High School in 1955, where he was a member of the United States Naval Reserve. After graduation, he joined the United States Army and was assigned to the Honor Guard in Washington D.C. He had the honor of serving at the J.F.K. inaugural address after his discharge from the Army, he began working for the Texas Highway Department. He retired in 1994 as regional Chief inspector after thirty-six years of service. Because of his knowledge and experience, he was soon recruited by other paving companies to lend his expertise. He continued working until his wife’s health declined a few years ago. Robert was currently serving as Mayor of Tuscola. Von Dean (Rose) Elkins was born to Bonnie Monroe and Lottie Mae (Aldridge) Rose on December 29, 1937 in Runnels county. She attended Morton High School for two years before transferring to Lawn High School. She graduated from Draughon’s Business School in Abilene a few years later. Von Dean was employed by Master’s Manufacturing, Thornton’s Department store and finally served over thirty years working for First State Bank of Tuscola where she was a beloved employee. Robert and Von Dean, married on February 8,1964 in Tuscola, where they lived for the next 54 years. They are survived by their daughter, Rhonda Rene (Elkins) Reilly and her husband Patrick; grandchildren, Demi Albus, Dalton Albus, Dillion Reilly, Ian Reilly, Colter Elkins, Garrett Elkins; great grandchildren, Aden and Tate. Robert is survived by his brother, Jim Elkins and wife Joann. Von Dean is survived by her sisters, Sue Shamblin and husband Doyle; Carolyn Moore and husband Dennis; brother, Danny Rose and wife Karen. They are both survived by numerous nieces and nephews. They are preceded in death by their parents and son Tony Elkins (2017). Robert is preceded in death by his sister Jennette Munn. Von Dean is preceded in death by sister Jean Rose Shamblin, and brother David Jo Rose. They are going to be greatly missed by their entire family as well as the community at large because of the immense amount of love and service they extended to everyone they met. Tuscola will never be the same.